MyFormatConverter | The Swiss army knife for all your multimedia files! The Swiss army knife for all your multimedia files! MyFormatConverter gives you the best image and sound quality across all your devices! By using MyFormatConverter, your music, movies and photos are adapted to each of your devices – whether that's a smartphone, regular cell phone, tablet, media player and much more besides! Make incompatible formats a thing of the past! Finally put an end to the confusing array of formats! Use MyFormatConverter now for free using the time-unlimited free version! I have tried out many different converter programs but MyFormatConverter delivers the best quality by far! Just like a Swiss army knife, MyFormatConverter takes care of all your digital multimedia files: Videos, music and photos. Be format independent and simply convert the format that's best suited to your playback device. AVI, DIVX, MKV, MOV or MP4? Navigate the bewildering array of formats without needing any specialist knowledge! 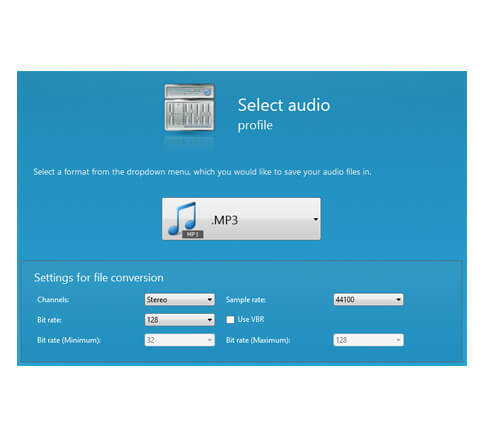 WAV, MP3, AAC, WMA audio CD, concert DVD – convert these into a compatible audio format! Now you can create your own 3D videos from your own home videos! Convert your TV recordings from DVR receivers (e.g. : dvr, dat, pvr and ts4) into compatible formats! Get the best from your videos! Great for old videos! Enhance your photos and improve image quality! Use the majority of the software's features – the free version can already convert your audio files into WMA and your video files into WMV. But comes without DVR support, 2D to 3D conversion and without optimizations. 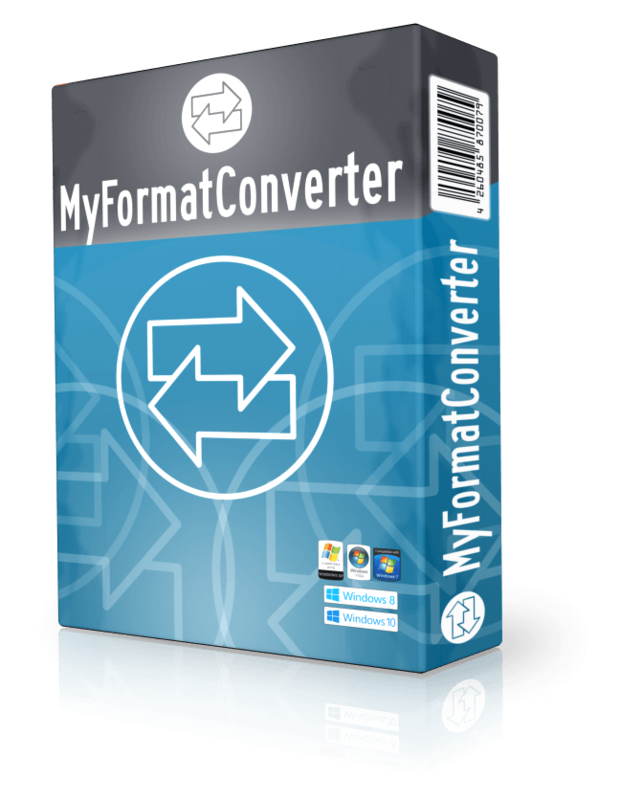 MyFormatConverter Basic Use all of the software's features across all output formats – comes without any optimizations, our 2D to 3D conversion and without DVR support. Buy the entry level version now! Don't accept any compromises: The premium version comes with all the software's features without any limits whatsoever! Now available on amazing special offer price! Only for a limited time! Our conversion software has been used by more than 500,000 customers for over 10 years! Finally I can convert videos from my camera hassle-free and burn them to disc and watch them on my DVD player. I bought the program to convert my CD collection to AAC and that worked a treat! Brilliant program, I can finally convert my TV recordings. Really simple and clear interface – even for a pensioner like me. DVD in, 3D cinema out. Simply amazing that I can now view home videos of my kids in 3D at home. It's super easy to convert all formats – actually simpler than you think! Our software is designed for entry-level users and professionals. 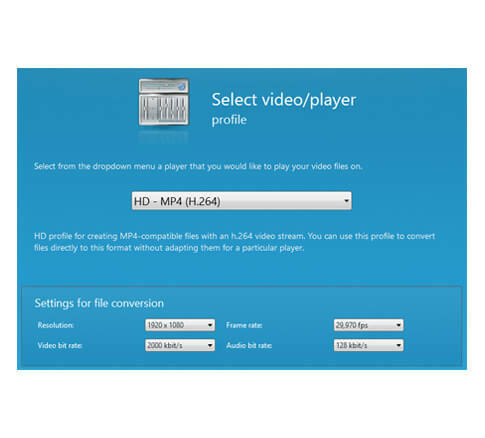 Convert your files in the highest quality that's suited to your playback device. The right format for every occasion! Convert your audio CDs, audio books, soundtracks from concert DVDs or TV recordings and YouTube Videos! Like listening to audio books in the car? Or music whilst exercising? Use the right output format for every occasion, whether that's AAC, MP3, compressed to use the least amount of disk space or uncompressed for best digital quality and to be future-proof – MyFormatConverter can do the lot! Your videos on all devices! Suitable for all video devices, from your pocket all the way up to a 4K TV! Thanks to the considerable list of device profiles you'll be able to get the task done simply: From games consoles, DVD players, media centers, Apple TV to iPhone – you'll surely find your device supported by MyFormatConverter. Additionally, you'll find support for all video formats like WMV, MPEG and h.264, so that you can convert in these formats, whatever the size of the file.